Imam Abu Ja`far al-Tahawi (239-321) can be said to represent the creed of both Ash`aris and Maturidis, especially the latter, as he was also following the Hanafi madhhab. We have therefore chosen to include the entire translated text of his Statement of Islamic Doctrine commonly known as the `aqida tahawiyya. This text, representative of the viewpoint of Ahl al-Sunna wa al-Jama`a, has long been the most widely acclaimed, and indeed indispensable, reference work on Muslim beliefs, of which the text below is a complete English translation. Tahawi began his studies with his maternal uncle Isma`il ibn Yahya al-Muzani, a leading disciple of Imam Shafi`i. However, Tahawi felt instinctively drawn to the corpus of Imam Abu Hanifa’s works. Indeed, he had seen his uncle and teacher turning to the works of Hanafi scholars to resolve thorny issues of fiqh, drawing heavily on the writings of Abu Hanifa’s two leading companions, Muhammad Ibn al-Hasan al-Shaybani and Abu Yusuf, who had codified Hanafi fiqh. This led him to devote his whole attention to studying the Hanafi works and he eventually joined the Hanafi school. He now stands out not only as a prominent follower of that Hanafi school but, in view of his vast erudition and remarkable powers of assimilation, as one of its leading scholars. His monumental scholarly works, such as Sharh ma`ani al-athar and Mushkil al-athar, are encyclopedic in scope and have long been regarded as indispensable for training students of fiqh. He was in fact a mujtahid across the board and was thoroughly familiar with the fiqh of all four schools, as stated by Ibn `Abd al-Barr and related by Kawthari, and as shown by Tahawi’s own work on comparative law entitled Ikhtilaf al-fuqaha’. Tahawi’s “Doctrine” (al-`Aqida), though small in size, is a basic text for all times, listing what a Muslim must know and believe and inwardly comprehend. There is consensus among the Companions, the Successors and all the leading Islamic authorities such as the four Imams and their authoritative followers on the doctrines enumerated in this work, which are entirely derived from the undisputed primary sources of Religion, the Holy Qur’an and the confirmed Hadith. Being a text on Islamic doctrine, this work sums up the arguments set forth in those two sources to define sound belief, and likewise, the arguments advanced in refuting the views of sects that have deviated from the Sunna. As regards the sects mentioned in this work, familiarity with Islamic history up to the time of Imam Tahawi would be quite helpful. More or less veiled references to sects such as the Mu`tazila, the Jahmiyya, the Karramiyya, the Qadariyya, and the Jabariyya are found in the work. It also contains allusions to other views considered unorthodox and deviant from the way of Ahl al-Sunna. There is an explicit reference in the work to the controversy on the creation of the Qu’ran in the times of al-Ma’mun and others. While the permanent relevance of the statements of belief in the `Aqida are obvious, the historical weight and point of certain of these statements can be properly appreciated only if the work is used as a text for study under the guidance of some learned person able to elucidate its arguments fully, with reference to the intellectual and historical background of the sects refuted in the work. Since the present book is intended exactly as one such aid towards understanding the details of Islamic belief with clarity, it is hoped that the quotation of the entire text of Tahawi’s “Doctrine,” which we consider as the doctrine of Ahl al-Sunna wa al-Jama`a, will be of benefit to the reader. And may Allah grant us a true understanding of faith and count us among those described by the Prophet as the Saved Group. The great scholar Hujjat al-lslam Abu Ja’far al-Warraq al-Tahawi al-Misri, may Allah have mercy on him, said: This is a presentation of the beliefs of Ahl al-Sunna wa al-Jama`a, according to the school of the jurists of this religion, Abu Hanifa al-Nu`man ibn Thabit al-Kufi, Abu Yusuf Ya`qub ibn Ibrahim al-Ansari and Abu `Abdullah Muhammad ibn al-Hasan al-Shaybani, may Allah be pleased with them all, and what they believe regarding the fundamentals of the religion and their faith in the Lord of the worlds. Abu Ja’far Ahmad b. Muhammad b. Salamah al‑Azdi, al‑Hajri, al‑Tahawi, was born at Tahā, a village in upper Egypt. His forefathers came from the Yemen to Egypt and settled there after it had come under the Muslim rule. There is a considerable difference of opinion as to the year of his birth. The years 229/843, 230/ 844, 238/852 and 239/853 are mentioned by different biographers. Al‑Sam’ani asserts that he was born in 229/843 and this is correct. He died in Egypt in 321/933. Al‑Tahawi was mainly interested in Hadith and Fiqh, and was regarded as one of the greatest Muhaddithīn and fuqaha’ of his time. According to Abu Ishāq al‑Shīrāzi, he was the last leader of Hanafi Fiqh in Egypt. He began to study Shāfi’i Law under his maternal uncle Abu Ibrahim Ismail al‑Muzani (d. 264/878), the most celebrated pupil of Imam al‑Shāfi’i, and then leaving his school he took up the study of Hanafi Law under al‑Shaikh Abu Jafar Ahmad b. Abi `Imran (d. 285/898), who became the Chief Qādi of Egypt in 270/883. 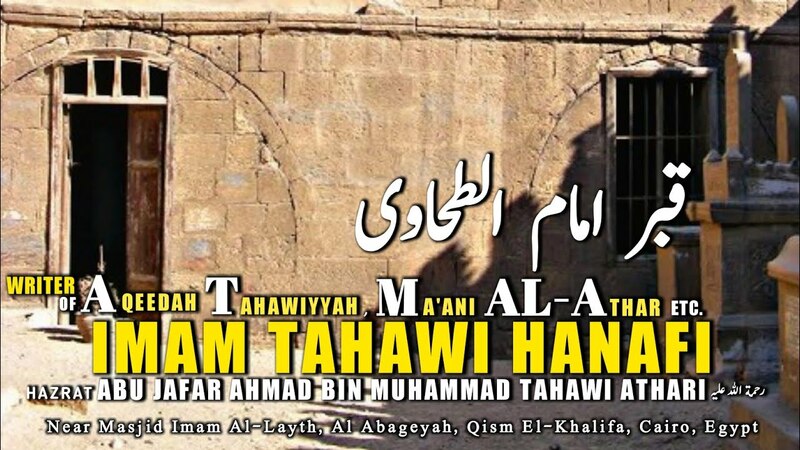 Different versions are given by his biographers of his conversion to Hanafi school, but the most probable reason seems to be that the system of Imam Abu Hanifah appealed to his critical insight more than that of Imam Shāfi`i. Al‑Tahawi went to Syria in 268/882 for further studies in Hanafi Law and became a pupil of Qādi Abu Khazim `Abd al‑Hamid b. Ja’far, the then Chief Justice of Syria. He learnt hadith from a large number of Shaikhs especially from those who visited Egypt at his time, and had also many pupils of distinc­tion. His original contribution to Hadith literature, so far as we can estimate, is that he introduced a new system of collecting legal traditions, developed a new method of interpreting and harmonizing the conflicting traditions, and adopted a new criterion for criticizing them. His predecessors and contem­poraries, the authors of al‑Sihah al‑Sittah (the Six Canonical Compilations) collecting traditions according to their own standards and principles, left out a large number of genuine traditions. Al‑Tahawi made a strenuous effort to collect all the genuine legal traditions of the Prophet صلى الله عليه وسلم, narrated by different authorities on a particular subject, together with the opinions of the Companions of the Prophet صلى الله عليه وسلم, their Successors and the distinguished jurisprudents. He then scrutinized traditions (ahādith) and showed by evidence which of them were authentic, strong, weak, unknown, or such as might be supposed to have been repealed. Thus, his collection provided for the scholars an un­precedented opportunity to judge for themselves the merits or demerits of a particular tradition. The criterion for judging the genuineness of a tradition, according to the Traditionists in general, was the isnād (chain of the nar­rators), and so they paid greater attention to the scrutiny of the isnād than to the scrutiny of the text (matn) of a tradition. 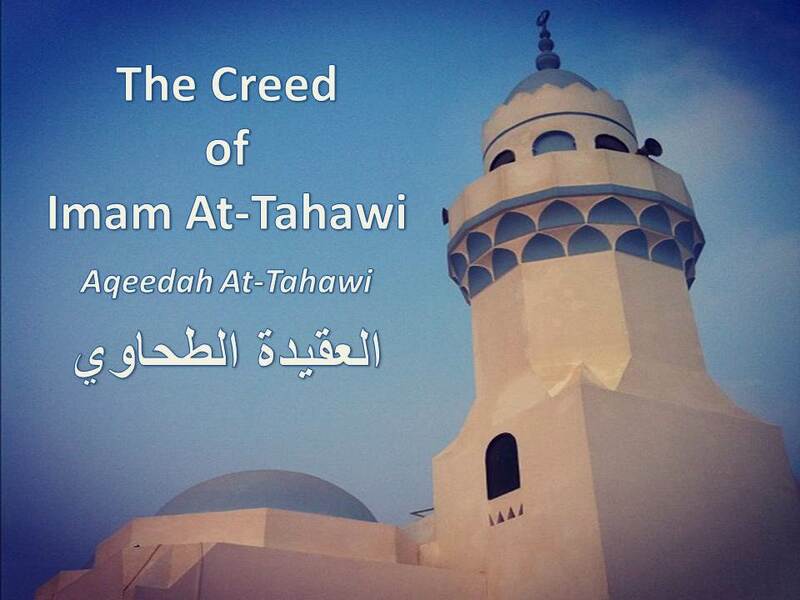 But al‑Tahawi, while scrutiniz­ing a tradition, took into consideration the matn as well as the isnād of the tradition. He also aimed at a harmonizing interpretation in case of conflicting traditions.